Are you currently seeking the ideal franchise investment and become part of the £15 billion UK franchise success story? Are you looking to get the highest return on investment on a franchise opportunity? Or perhaps you are wanting to scale-up your existing business and see franchising as the best way to achieve this? They will save you time, effort and, most importantly money. Some accountants are only interested in the fees; others can be too busy to give you the time and attention you need. This means that you could lose out, particularly since you may end up paying more tax than necessary. Regardless of whether you’re looking to invest in a franchise or have an existing one, you’re entitled to receive a top-quality, consistent accountancy service, with no hidden fees, giving you the peace of mind to concentrate on developing your brand and building your business. Beresfords Chartered Accountants aim to address all of these considerations with their excellent services. 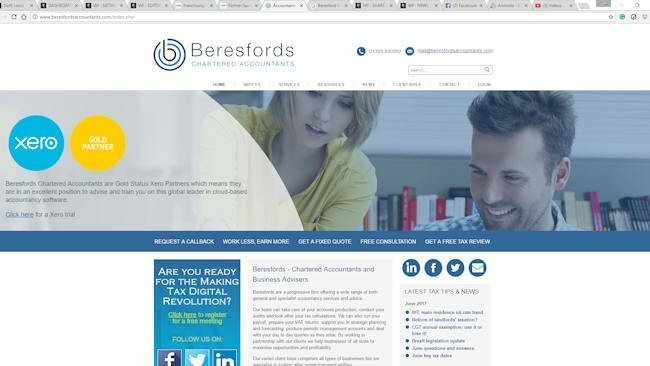 A well-established, multi-site practice, Beresfords Chartered Accountants have over twenty years’ experience in the franchising industry. During their time in the sector, they’ve developed a core business template that is workable and scalable, helping clients to overcome the various challenges faced in building their businesses. Beresfords Chartered Accountants offer a fixed fee promise to clients for agreed services as standard, meaning that you’ll find budgeting so much easier. They also offer easy, monthly payment options to help with cash flow. Beresfords’ clients can rest assured that their accounts will be fully compliant, enabling them to make informed business decisions based on current, accurate information. If you’d like to find out how your business can benefit from Beresfords’ services, please call them on 01233 223763 or 01303 850992 for a free, initial consultation or visit www.beresfordsaccountants.com for further information.